11000 mi — came with all the bags (back one not shown in picture), Corbin Seat, an extended warranty for the next year, and a 14-month service contract from Wilson’s Motorcycle in Fresno (Yes, I have to make the 200 mile trip to Fresno to get the service – but I have family there that I actually like!). I spent a great deal of time looking at everything else. I had decided on the Scura that Encore Performance in Prescott had for sale, but the price quoted me actually went up $250, to $6750, and the ST2 was $4400, with the warranty, service contract and bags. It just a new timing belt and valve adjust less than 100 mi before I picked it up, and it was a complete drive-away bike with no faults. I’ve put 1000+ miles on it a week and a half later, and it is really something. My Guzzi is like a P-47; lumbering, powerful, raw and upright. The Duc is like an f-18 — just smooth and so performant — it does everything very well but still makes you feel like you’re really talented. The brakes are marvelous, and I’ve finally gotten over the “rocks in a beer can” sound of the clutch at idle. I do miss the torque and big flywheel of the Guzzi on it, because it really has nothing but angel-food cake below 3000 rpm. I’ve stalled it on slow move-aways from a stop countless times. All told, the mileage is wonderful, seating position is good enough for now, and the storage is amazing. A little wider than the Goose, it is a little dicier as I split lanes. The seating position is also in the stratosphere compared to the Eldorado, and I feel like I’m sitting on a couple of phone books in comparison. Should be a fun bike, and I’m positive that I’ll be able to get my money out of it if/when it comes time to sell. The build quality is super, and I have a feeling that it isn’t my last Ducati. Getting another Bike… Guzzi, or? 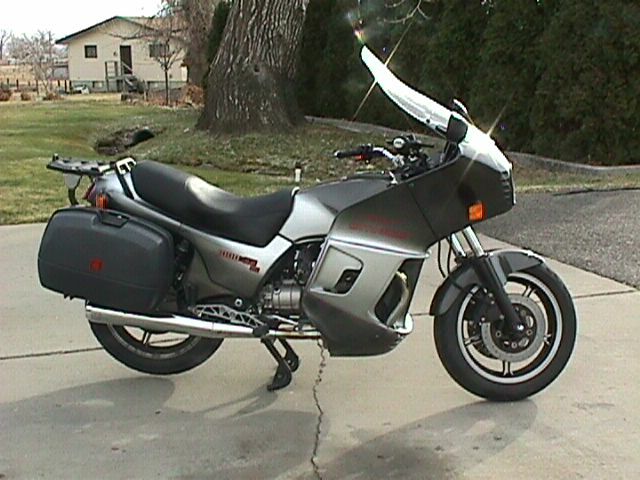 I’m looking at my second bike — wanted a Norge but wife said don’t spend so much money (limit’s around 6500ish). So I don’t wear the eldo out, this bike would be ridden about 6-800 miles per week for the next 9 months or so, then this would drop by 75% to about 200mi when I move close to my work. It’s gotta be dead-nuts reliable (at least by some warped standard that says my Eldo is close to that), and I’d like to be able to have a great bike to get through traffic in. for those of you that went to the AZ rally and others, Jim at EPS has an ’02 Scura with LeMans full fairing, risers on the bars and Bags that look like two moving vans bolted to the bike ( but beautifully integrated). It has 10K miles. Then there’s an ST2 with low miles and adult owned for $6500. I did consider many of the Oriental bikes and BMWs, but I’m just not going to want them after 9 months, and I hate selling stuff. Plus, I already have knowledge about Guzzi Maintenance, and Ducs don’t scare me, because I have a support network if I really, really need it. Prefer the Goose, though. So I’ve been ruminatin’ and ruminatin’. I’m soliciting opinions because I need more input and I just don’t have the domain knowledge yet to really make a great decision. 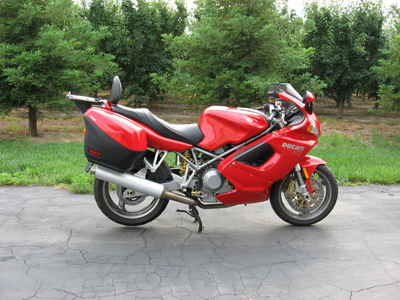 Posted on May 22, 2008 Categories MotorcyclesTags Bike, Commuter, Ducati, guzzi, Le Mans, Scura, ST26 Comments on Getting another Bike… Guzzi, or?